Download Magazine (PDF)Find a Magazine Distributor! The Great Vellejo Race has some favorable course changes. We introduce you SSS Transpac participants. 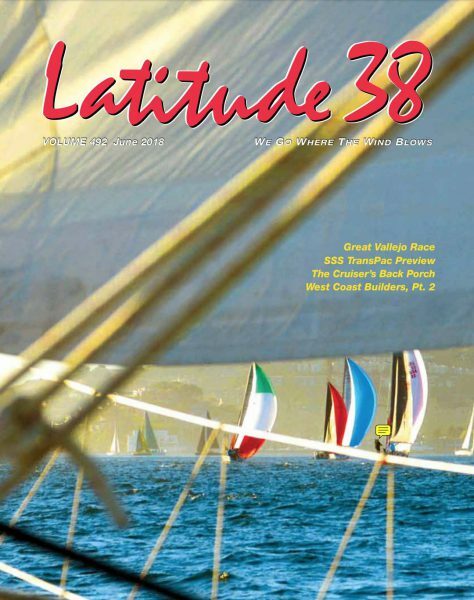 West Coast Boatbuilders are making everything from bluewater boats to ultra-fast racers to simple, fun daysailors. Lee shows off a twin bladed emergency rudder as Max conducts inspections for the race to Hawaii.